Despite some progress in diversity and racial justice in the U.S. as a whole, a professor argues that farming remains deeply segregated. Farming in the United States is enmeshed with both racism and capitalism in a way that has had a profound impact on who owns, accesses, and benefits from farmland. Recently, I published research with Portland State University student Amy Marion examining data on non-farming landowners, farmers who own and lease land, and farmworkers. We found significant racial/ethnic disparities when it comes to representation, land, and money. Perhaps not surprisingly to those familiar with structural racism in the food system, we found that white Americans are most likely to own land and benefit from the wealth it generates. 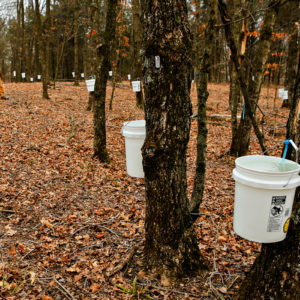 From 2012 to 2014, white people comprised over 97 percent of non-farming landowners, 96 percent of owner-operators, and 86 percent of tenant operators. They also generated 98 percent of all farm-related income from land ownership and 97 percent of the income that comes from operating farms. On the other hand, farmers of color (Black, Asian, Native American, Pacific Islander, and those reporting more than one race) comprised less than 3 percent of non-farming landowners and less than 4 percent of owner-operators. They were more likely to be tenants than owners; they also owned less land and smaller farms, and generated less wealth from farming than their white counterparts. 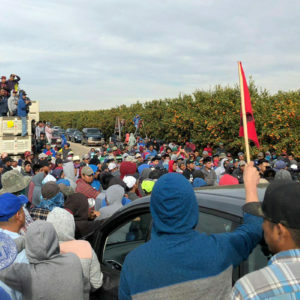 Meanwhile, Latinx farmers comprised about 2 percent of non-farming landowners and about 6 percent of owner-operators and tenant operators, well below their 17 percent representation in the U.S. population. They also comprised over 80 percent of farm laborers, a notoriously under-compensated, difficult, and vulnerable position in U.S. farming. In other words, despite greater diversity in the U.S. population overall and seeming progress in other areas of racial equity, farming in this country appears to be as segregated as it was a century ago. Inequity is part of American farming history, with few exceptions. One exceptional moment occurred in the decades after the Civil War, when freed slaves and their descendants accumulated 19 million acres of land. In 1910, 14 percent of all farm owner-operators were Black or African Americans. By 2012, however, they comprised only 1.5 percent. The causes of that decline, and today’s disparities, are rooted in the structural racism that has been part and parcel of the development of modern U.S. agriculture. Not only were Native Americans often violently removed from their homelands (which were further segmented by federal laws), but a series of federal Homestead Acts gave mainly white male settlers and corporations hugely subsidized land. Discriminatory laws, such as the California Alien Land Law of 1913, prohibited various people of color from owning land. They were also denied reparations after the abolition of slavery, as well as labor protections like minimum wage, union rights, and social security when they worked on farms. The government gave unequal funding to land-grant universities that served Black and white students, and the U.S. Department of Agriculture (USDA) discriminated against Black, Native American, Latinx, and women farmers in its lending and other forms of support for decades. But that obviously didn’t happen. Nor were Native Americans appropriately compensated for their land. Instead, the Homestead Acts, which scholar Keri Leigh Merrit calls “unquestionably the most extensive, radical, redistributive governmental policy in U.S. history,” had lasting benefits for white people. The National Park Service estimates that about 93 million people, or more than a quarter of the U.S. adult population, are descendants of people who received land through the Homestead Acts. That number likely includes a number of today’s white farmers and landowners. More recently, U.S. policy supporting industrialization and consolidation in food production has perpetuated racial and ethnic inequities in more subtle ways. Hundreds of millions in commodity subsidies set aside in the farm bill, technology advances, trademarked plant and animal varieties, and access to international markets has accrued to the largest farms (which are much more likely to be white-owned). Meanwhile, farmers of color, immigrant farmers, and female farmers, who typically have smaller farms and grow higher-value, labor-intensive products such as fruits, nuts, and vegetables have received less government support. The 2018 Farm Bill continues past trends by offering some important support for diverse farmers, but falling short of structurally transforming the U.S. food system. Farmers of color face other challenges as well, from challenges in succession planning and a lack of capital to pay taxes and liens, to resistance to farming rooted in the historical trauma associated with slavery. And while interest by young and beginning farmers of diverse races and ethnicities seems to be growing, they start out from a disadvantage, often lacking access to family land or wealth. This doesn’t mean all white farmers have had it easy, either. Many have been pushed out of farming in recent decades due to increasing industrialization and consolidation, which has made American agriculture extremely efficient in some ways, and entirely inhumane and ecologically irresponsible in others. At the same time, agri-businesses get bigger and richer. Most farmers in America today are struggling. Farmers comprise around 1.5 percent of the population, a percentage that continues to trend downward as young people see little opportunity to make a living. Farmers with differing approaches, farm sizes, and markets are facing stagnant prices, rising costs, difficulties finding labor, and mounting debts. In desperation, farmers are dying by suicide at an alarming rate. And while some food movement activities point to local, direct-to-market farming and organic, sustainable food production as more profitable, plenty of those farmers face hardships, too. Meanwhile, in a market where the price of land often far exceeds the value that can be made from it for ecological food production, land owners face mounting pressure to sell to developers, oil and gas extraction companies, larger corporate farms, and investment companies. Now, an unprecedented generational transfer of land looms. Over two-thirds of farmland owners are nearing retirement age, and many of them lack clear succession plans. Without a change in direction, the future of farming as a profession held by a diverse group of people is looking pretty bleak. There are plenty of inspiring efforts to prioritize diversity and equity in farming. 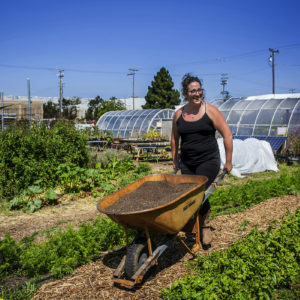 Across the United States, organizations such as Soul Fire Farm in New York state, Mudbone Grown Farm in Portland, Oregon, and the Agriculture and Land-Based Training Association (ALBA) in Salinas, California, provide culturally relevant training and mentoring for new generations of diverse farmers and food cultivators. 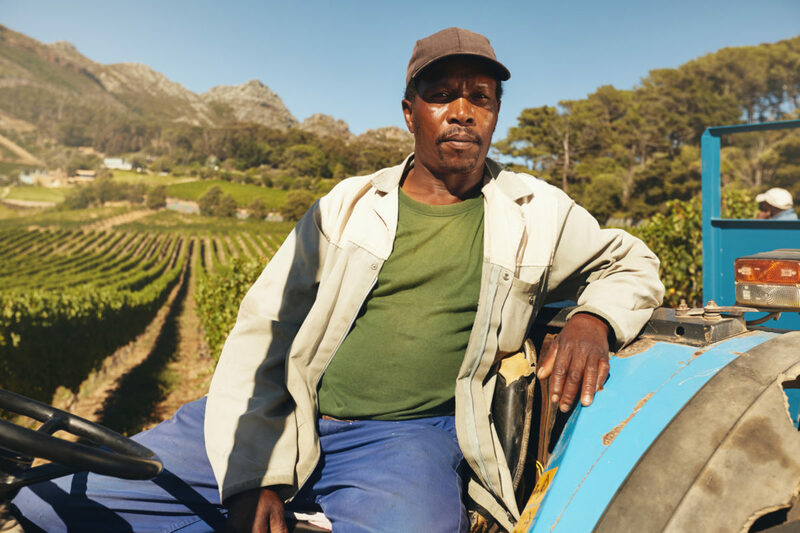 In the Southeast, Family Agriculture Resource Management Services (FARMS) is providing legal assistance to Black farmers, and all farmers from historically disadvantaged groups, to retain ownership of their land. But there is still much to be done, and many ways for people and institutions to work for progress in farming equity. White landowners can engage in person-to-person reparations, for example, by paying a land tax to indigenous groups, such as the Shuumi Land Tax that supports returning Chochenyo and Karkin Ohlone lands in the San Francisco Bay Area to indigenous stewardship. Other options for white landowners and beneficiaries of white supremacy are to donate land, vehicles, farm equipment, or houses, or share their expertise with farmers of color (see this reparations map as one approach to identifying the needs of some farmers of color). Individual actions are not a replacement for a more systematic nation-wide approach, but they can be a step to building a practice and the potential for positive change. White-led and white-dominated food organizations, from food policy councils to incubator farms, can also reflect on how their practices perpetuate racial privilege. They can go beyond asking how to bring more diverse people to their tables, and instead figure out how to amplify and act in solidarity with existing efforts. Agricultural institutions, including land grant universities, can confront their racist legacies and build thoughtful and long-term, mutually beneficial relationships with diverse community partners. Grant makers can apply a racial equity lens to their funding decisions. Public agencies and land managers, such as parks departments, can permanently protect land for food cultivation by POC-led organizations. Building on the example of the Portland Metro, they can also collaborate with Native Americans to make land accessible to hunting, gathering and reclaiming Native foodways. Activists and organizers can continue to call for racial justice to be acknowledged in the federal farm bill, to combat the massive consolidation and industrialization in farming, to include land and food justice in the Green New Deal, and to call on the federal government to develop proposals for reparations to Native Americans and African Americans. As researchers, we also call for more attention to the demographics of farmland ownership, farming, and farm labor, and for activist scholarship to help identify emerging best practices in a more equitable U.S. food system. Ultimately, equitable land access is just part of the vision. Farmers and food producers of all races also need to be able to sustain themselves and their communities. What’s needed is no less than a radical transformation of the entire U.S. food system to one that values the people who tend the land and cultivate the food we eat. Hi Megan and thank you for your thoughtful, respectful and appropriate acknowledgment of the disparities in the farming movement - then and now. I was wondering you would would mind my sharing this article in a class I will be teaching on the Revolutionary Art of Home Economics that hopes to address not only the institutionalized racism, xenophobia and gender bias inherent in our land policies (as promoted by the Land Grant University system) but our concepts and relationship to "home". I would be happy to meet person to person but wanted to mention that I hoped to share this article as part of the larger conversation in my classroom. As for me, I am a writer and educator (A Householder's Guide to the Universe) and am working on a new curriculum guide (Returning Home -radical new guide to home economics) that acknowledges many of the issues and privilege that I, too, have carried as a white middle class woman teaching and advocating for urban homesteading. So again, thanks!